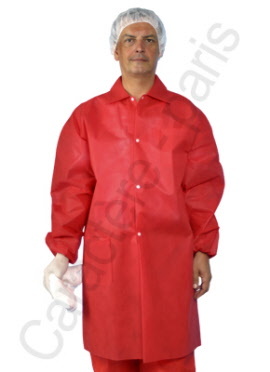 Ideal protection when cleaning or dealing with harmful chemicals, our Lab Coats cover 90% of the body. 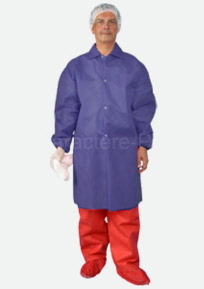 The generous length and elasticated cuffs protect the legs and arms from exposure to chemicals, dirt and liquids. The coat has a V neck and closes with five snap fasteners down the front, and there are no pockets to catch on work tools or appliances. Material: Thick, 40 gsm, non-woven.